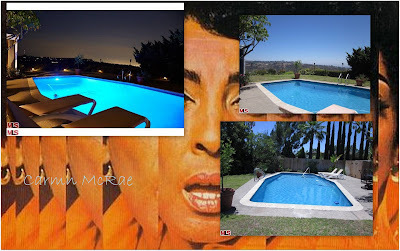 Was influenced by singers Billie Holiday and Sarah Vaughan. Studied piano as a child. 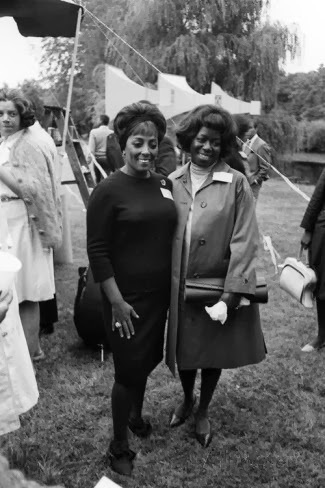 Early in her career, worked briefly with Count Basie. Inducted into the Big Band and Jazz Hall of Fame in 1984. However, a tragedy McRae never won a Grammy award. McRae was born in Harlem. 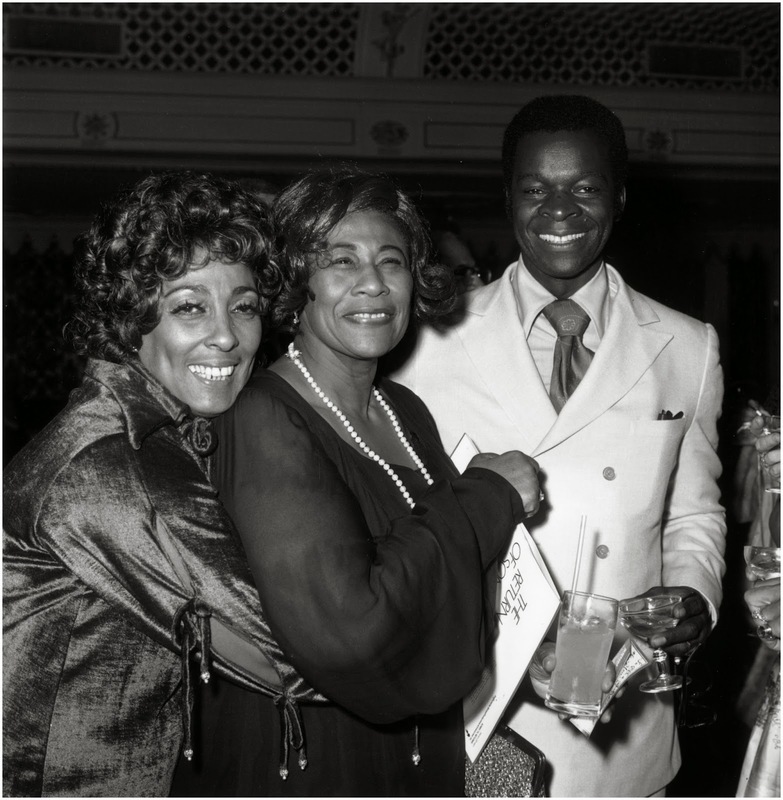 Her father, Osmond (listed as Oscar in biography), was originally from Costa Rica, and her mother, Evadne McRae, an immigrant Amerindian from Jamaica. Their only child. Her Costa Rican father was a physical fitness buff who owned and operated a health club. He was 5'9". Her mother was a dressmaker and she too was 5'9". Lived in prestigious Sugar Hill neighborhood with parents. She began studying piano when she was eight, and the music of jazz greats like Louis Armstrong and Duke Ellington filled her home. She met singer Billie Holiday when she was just 17 years old. 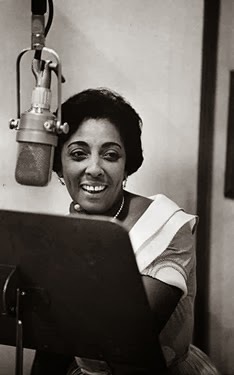 As a teenager McRae came to the attention of Teddy Wilson and his wife, the composer Irene Kitchings Wilson. One of McRae's early songs, "Dream of Life" (in which she wrote), was, through their influence, recorded in 1939 by Wilson’s longtime collaborator Billie Holiday. 1940's she was a secretary by day and occasionally worked as a chorus-line dancer in Harlem nightspots. Musicians played for free, no music schools for jazz musicians existed then. Soul food was served. Yum! Wonder if we have underground jazz clubs in Detroit? 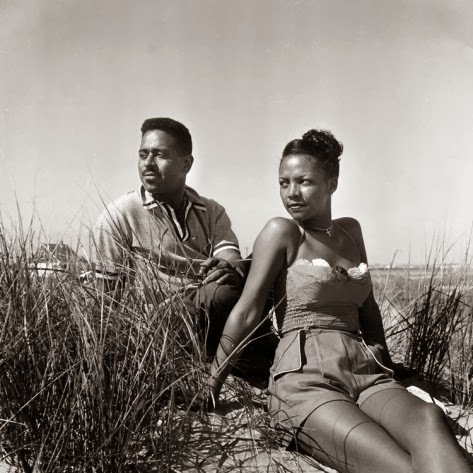 Dizzy Gillespie &amp; his wife Lorraine, 1953. Johnson Publishing Company. 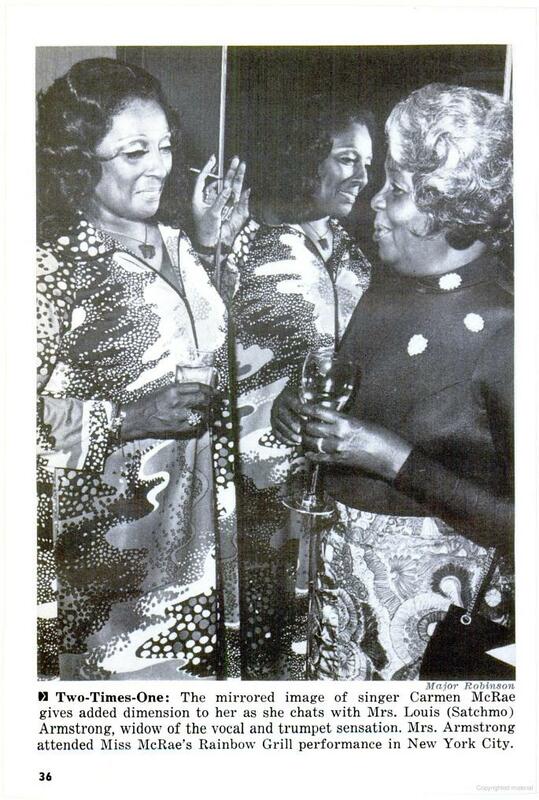 Dizzy Gillespie's wife Lorraine was a chorus girl at the Apollo. McRae considered Holiday to be her primary influence. Avid cigarette and marijuana smoker. Cocaine as well. She loved to socialize, but for the most part she was a very private person. In her late teens and early twenties, McRae played piano at a New York club called Minton's Playhouse, Harlem's most famous jazz club, sang as a chorus girl, and worked as a secretary. She was voted best new female vocalist of 1954 by Down Beat magazine. 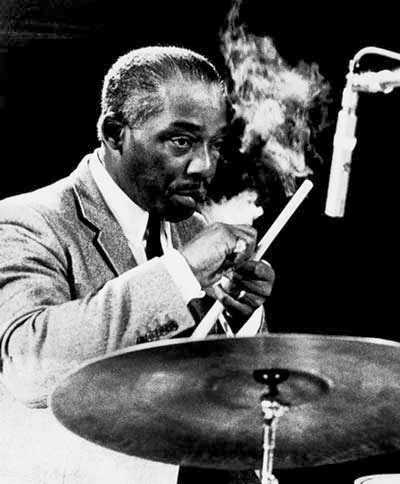 MacRae married twice: to drummer Kenny Clarke in 1946 (1944 in biography), and to bassist Ike Isaacs in the late 1950s; both marriages ended in divorce. In 1944 Carmen married Kenneth Clarke Spearman (Klook). The couple owned two Doberman Pinschers. Clarke cheated on McRae with singer Annie Ross in 1947. Klook left Carmen for Annie Ross. Ross and Klook had a son, Kenny Jr. 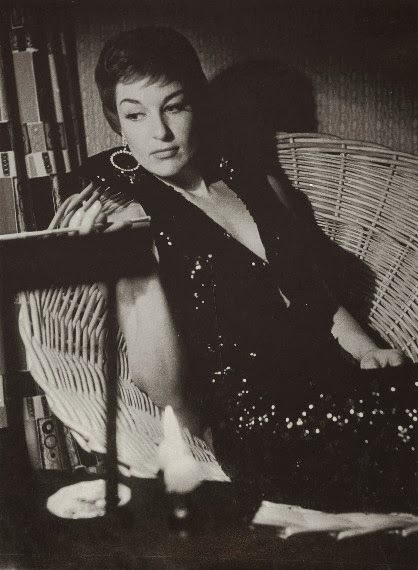 Things grew complicated in 1949, when singer Annie Ross had a brief affair with Clarke and gave birth to a son, Kenny Clarke Jr. She left the child in the care of Mr. Clarke's family, then moved to New York in 1950. 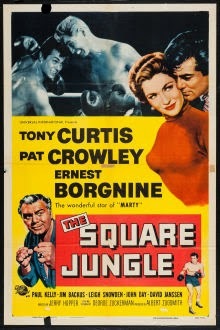 In 1948 she moved to Chicago with comedian George Kirby. In the late 40s and early 50s she fell in love with Kirby. Late 50s gets a divorce and marries bassist Charles 'Ike' Isaacs (1923-1981). Married, May 1956. They split in 1958. Carmen fired Ike from her combo and hired a new group. 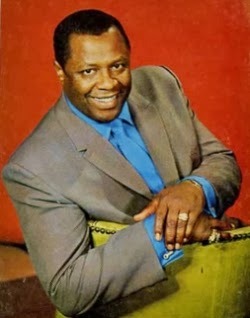 2nd husband, Charles 'Ike' Isaacs (1923-1981) was a bassist. He played in the army and studied with Wendell Marshall around 1941. He later played with Tiny Grimes and an air force band in 1949 and 1950 prior to working with Earl Bostic, Mat Matthews, Paul Quinichette, and Bennie Green in the early fifties. He formed his own group, the Four Maestros, toured with McRae as her music director (and husband) and worked as Lambert, Hendricks, and Ross' music director until the end of the fifties. 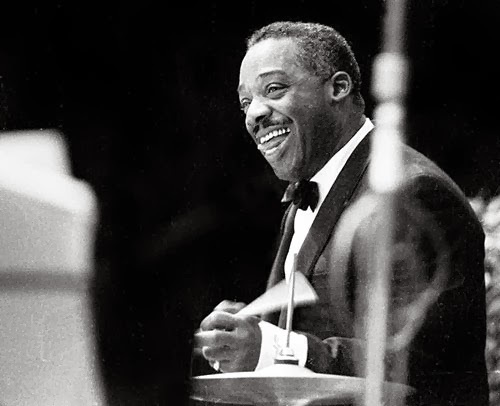 He later played with Count Basie, Gloria Lynne, and Erroll Garner and led his own trio. Isaacs recorded with Bostic, Green, McRae, Basie, Garner, Ray Bryant, Joe Williams, and others. Carmen divorces Isaacs in 1961. Lovers with guitarist François Vaz from 1967-1968. They lived together in Los Angeles. Gained a reputation as being either bisexual or a lesbian. Confided in a friend that, as a teenager, she had her first sexual encounter with another woman with Billie Holiday. Carmen and Joe Louis had a romantic relationship for awhile. Suffered from chronic bronchitis, asthma, emphysema. Beautiful and sophisticated 3 sty. remodeled Mid-Century Modern, w/ open floor plan, sun-drenched with natural light and walls of glass. This 4 BR, 3.5BA has "jetliner" views from the City, to the Ocean to the Canyons. Fabulous Master Suite on entire top floor. Sparkling pool and patio surrounded by lush gardens. Entertainers delight! Adjacent to Beverly Park. Also available for lease: $10,500/mo. Wants to be remembered for one thing, her music. Raised Catholic, but not a church goer. She believed in a Supreme Being though. Carmen and Sarah Vaughan were good friends. As a result of her early friendship with Billie Holiday, she never performed without singing at least one song associated with "Lady Day", and she recorded an album in 1983 in her honor entitled For Lady Day, which was released in 1995, with songs including "Good Morning Heartache", "Them There Eyes", "Lover Man", "God Bless the Child" and "Don't Explain".